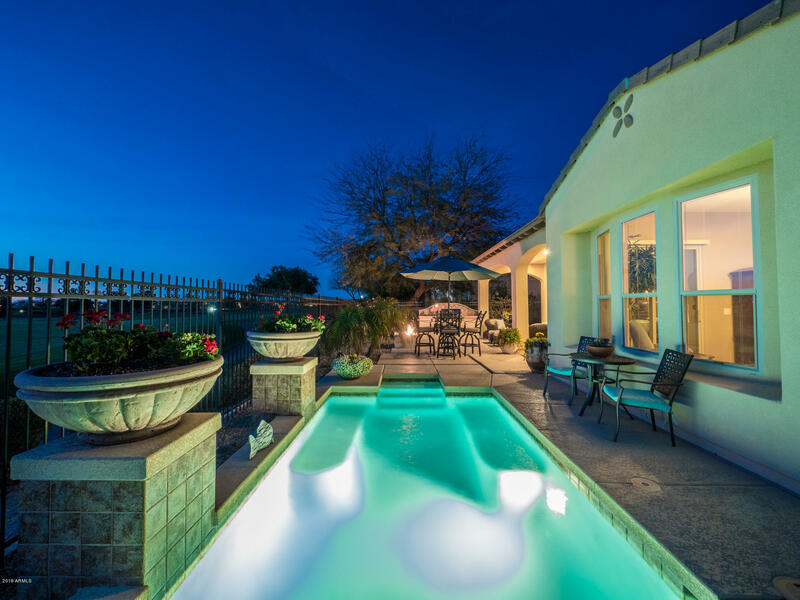 This exclusive luxury home is as close to resort-like perfection you can find! 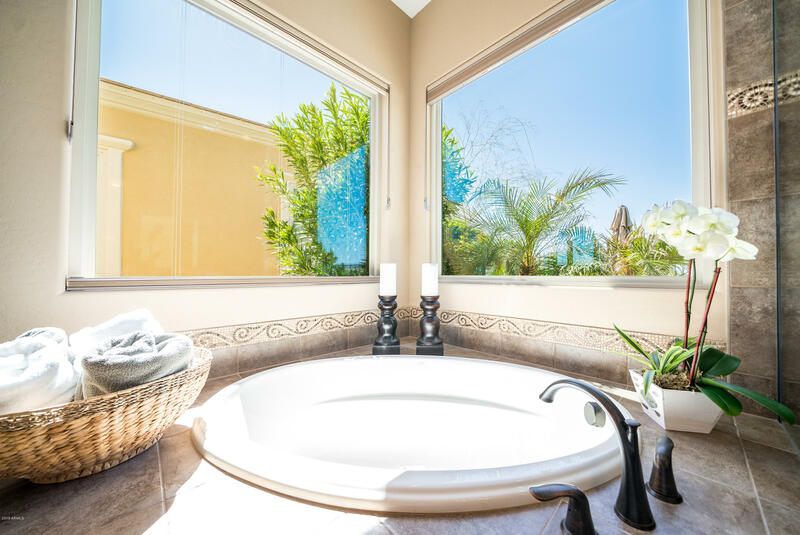 Pour yourself a glass of wine, and get ready to soak in the absolute splendor that this retreat has to offer. 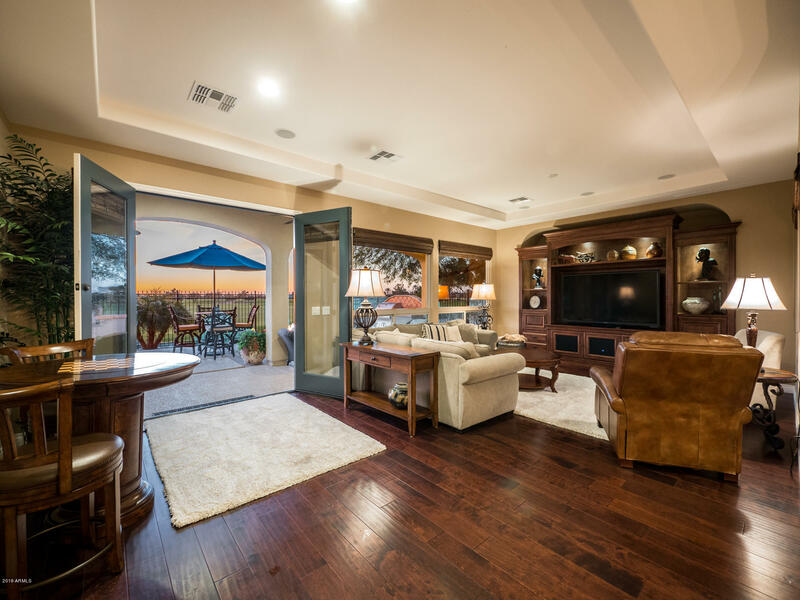 You simply cannot get a better location than this magnificent home. 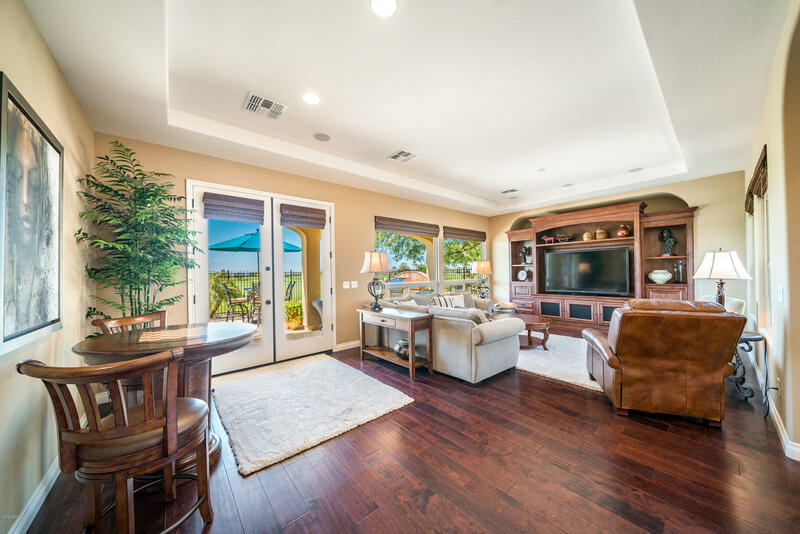 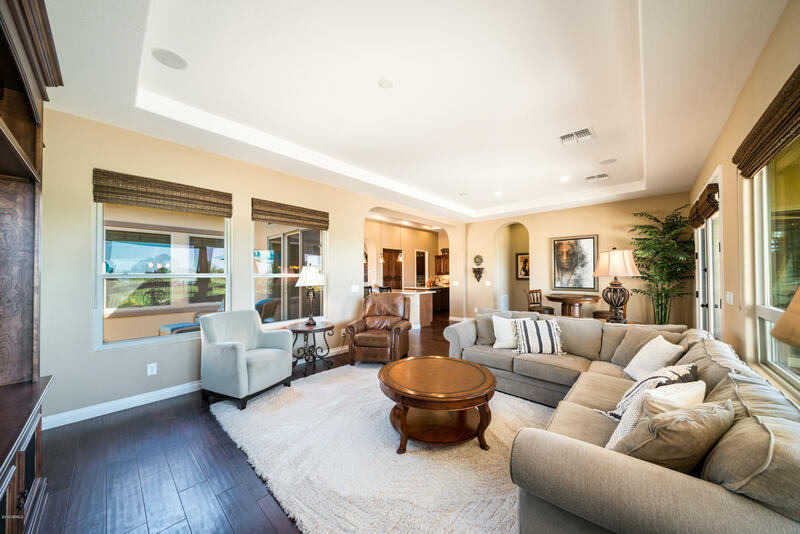 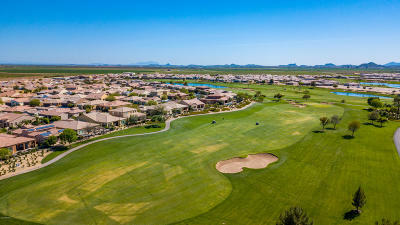 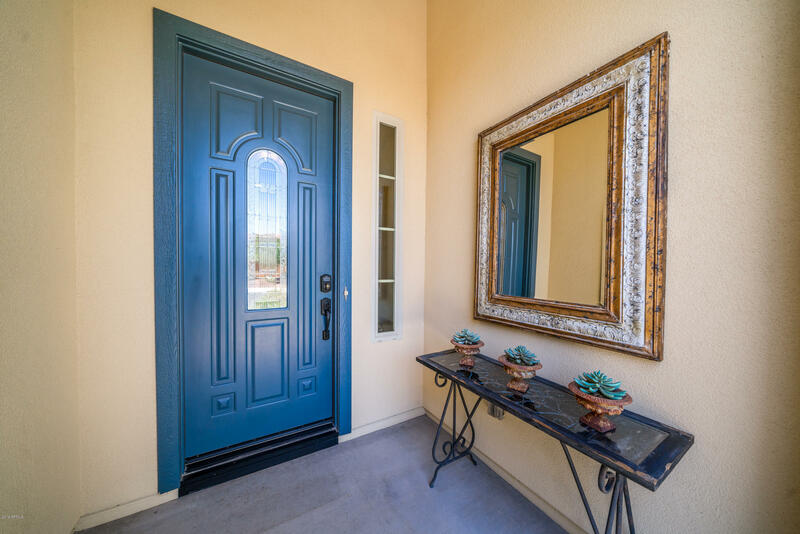 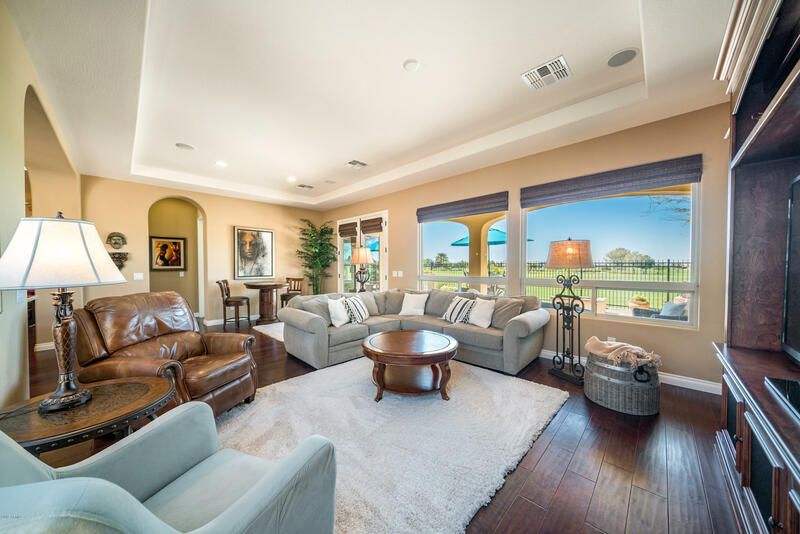 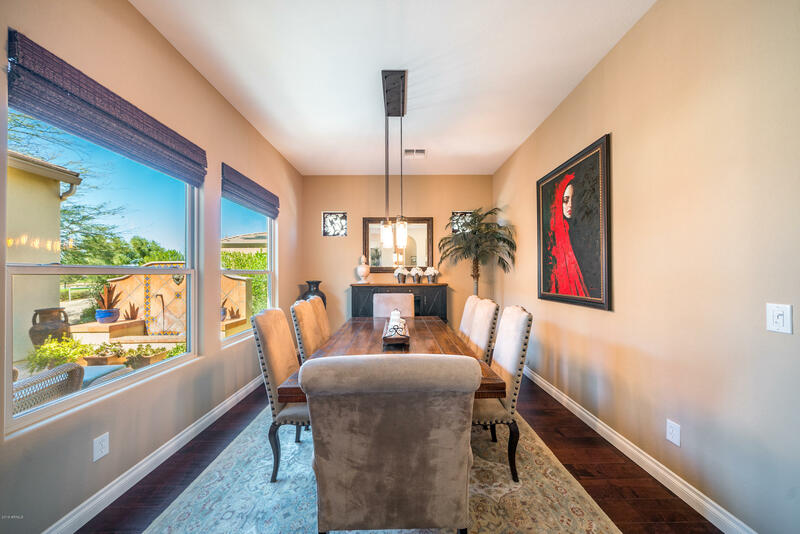 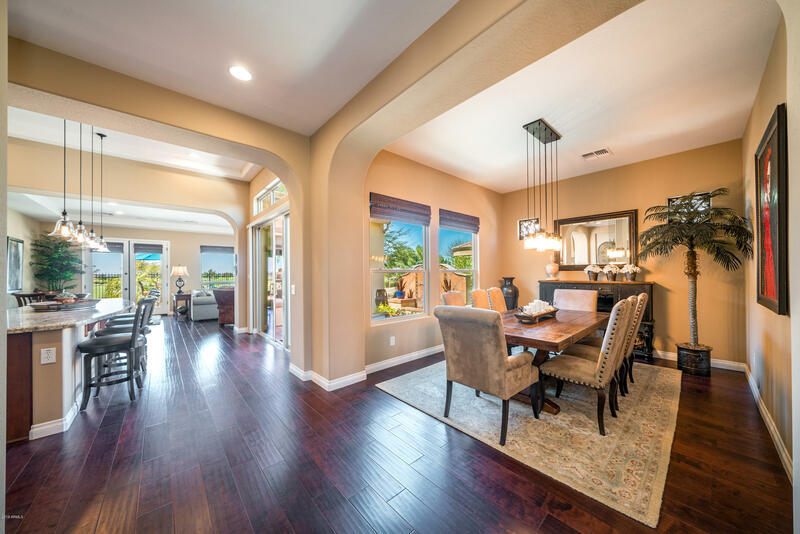 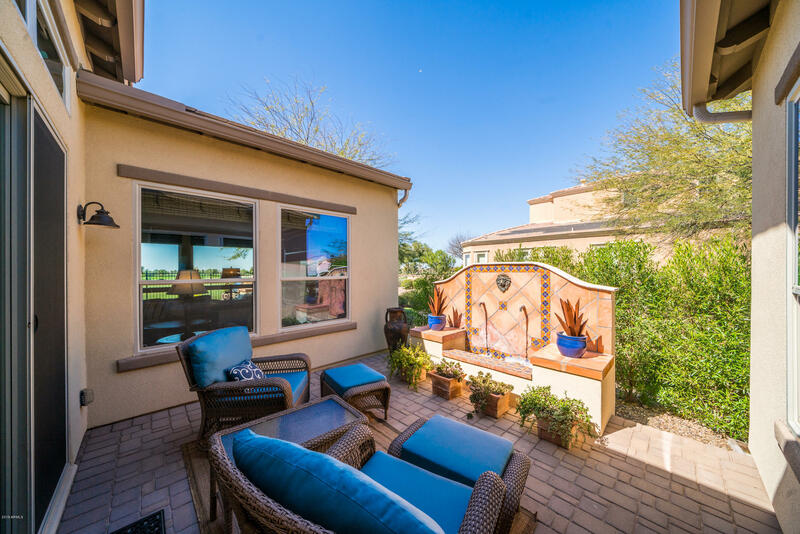 Your Westward facing yard overlooks the sparkling blue lakes and lush green golf course in Encanterra. 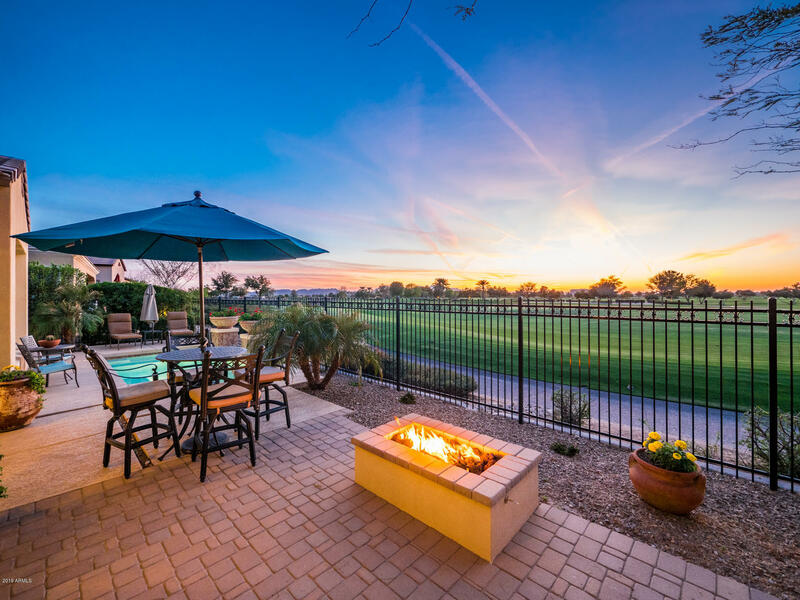 Vivid sunsets and full mountain views await just beyond your refreshing turquoise pool that is nestled amongst fragrant Spring flowers. 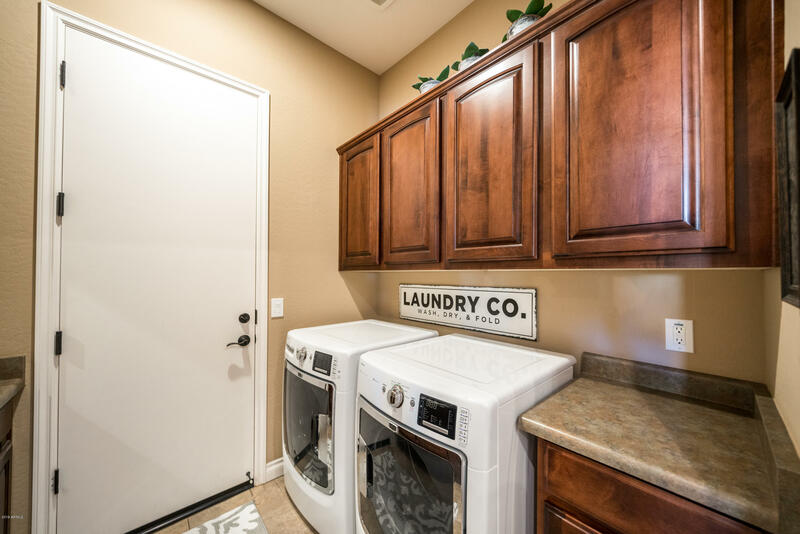 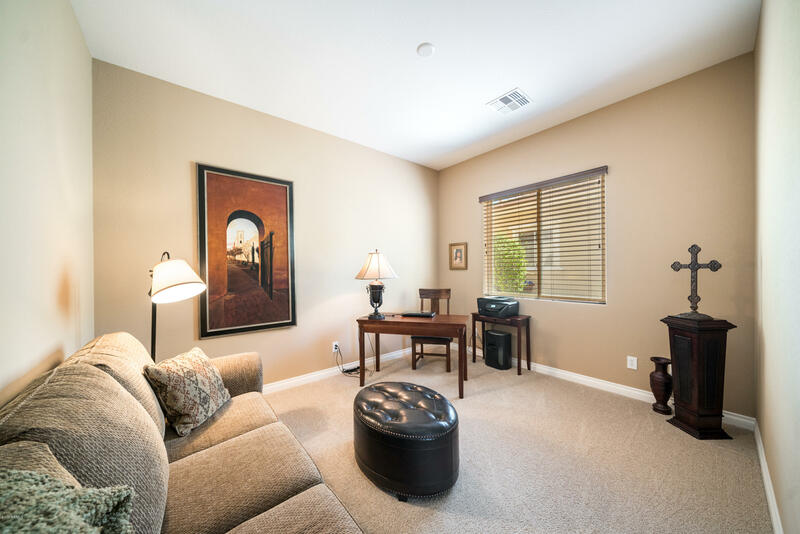 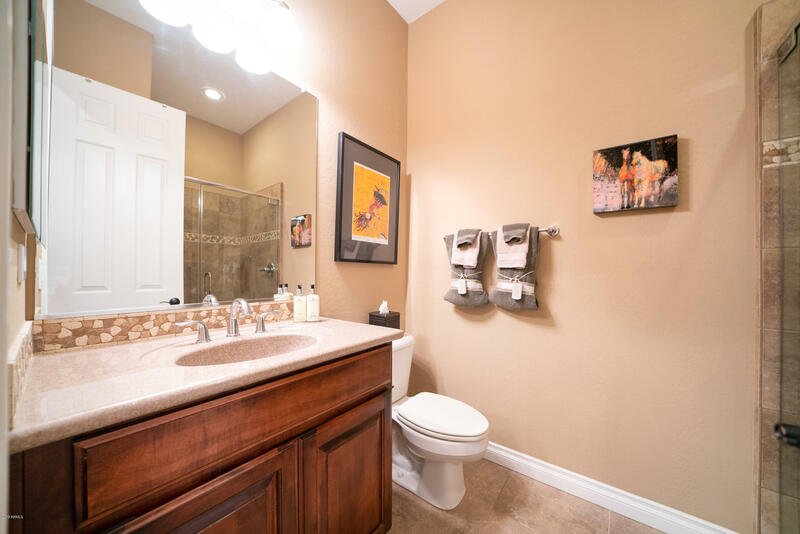 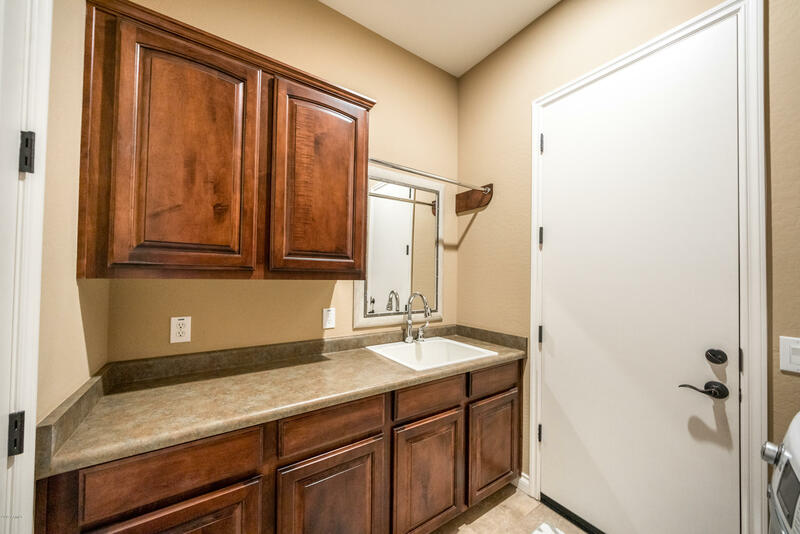 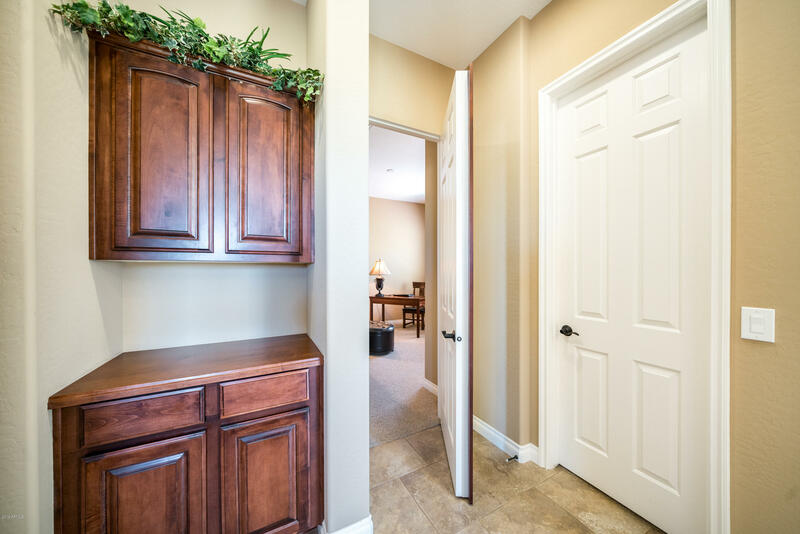 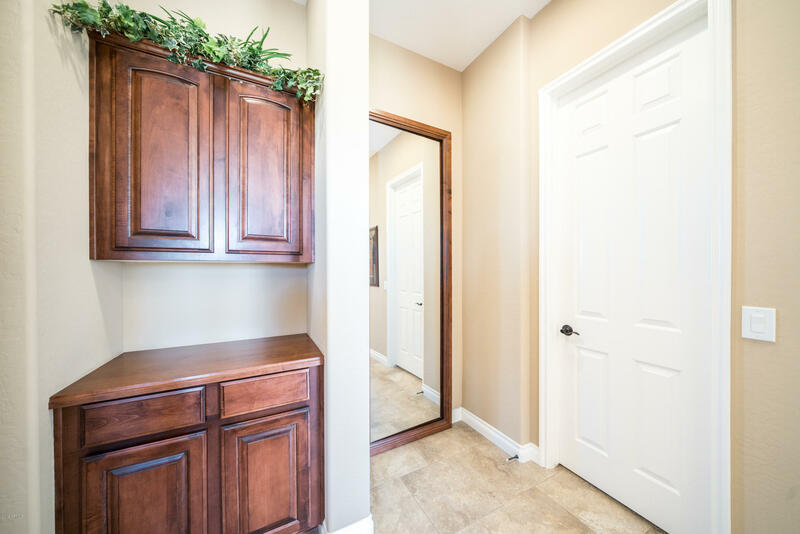 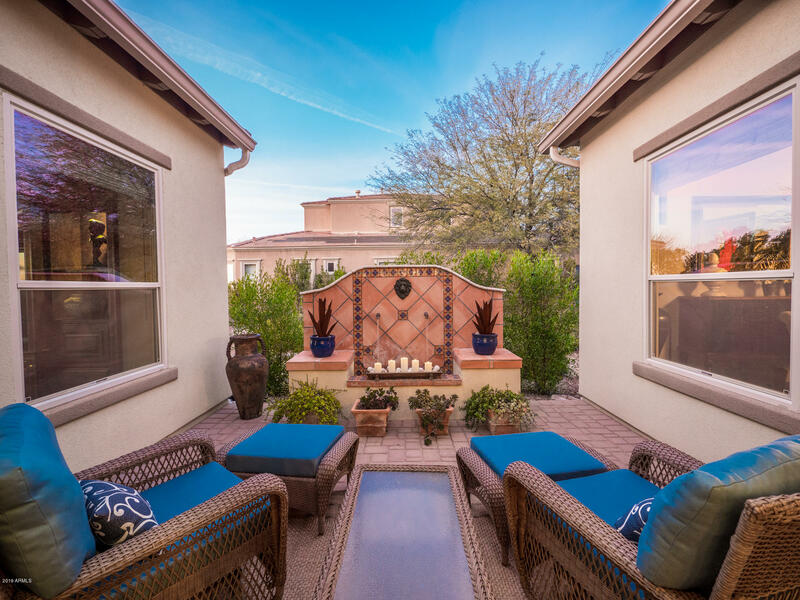 Your worries will melt away as the courtyard's trickling water fountain permeates calm throughout your entire home. 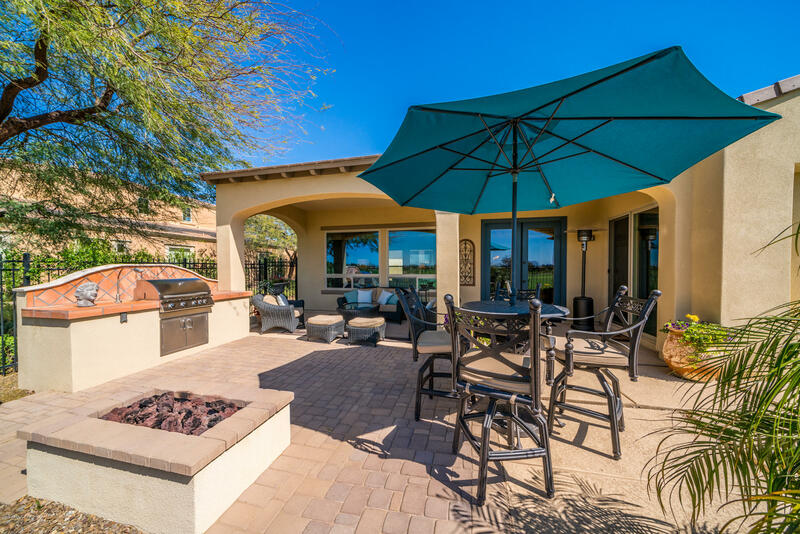 Blend yourself a fruity cocktail in your highly upgraded kitchen then take a relaxing nap on your huge covered patio. 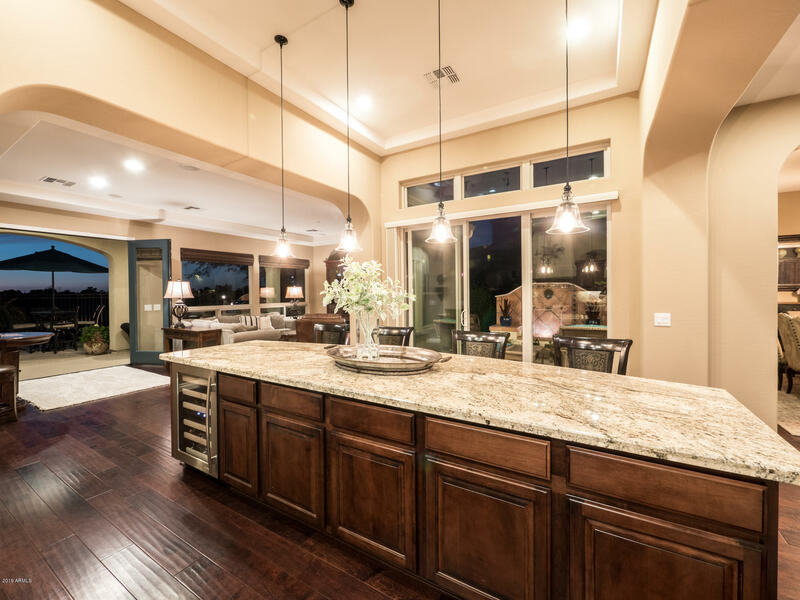 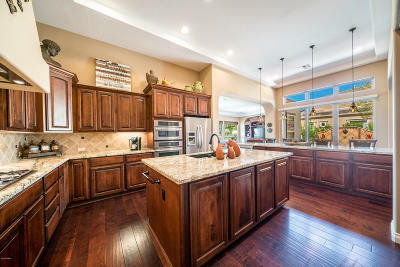 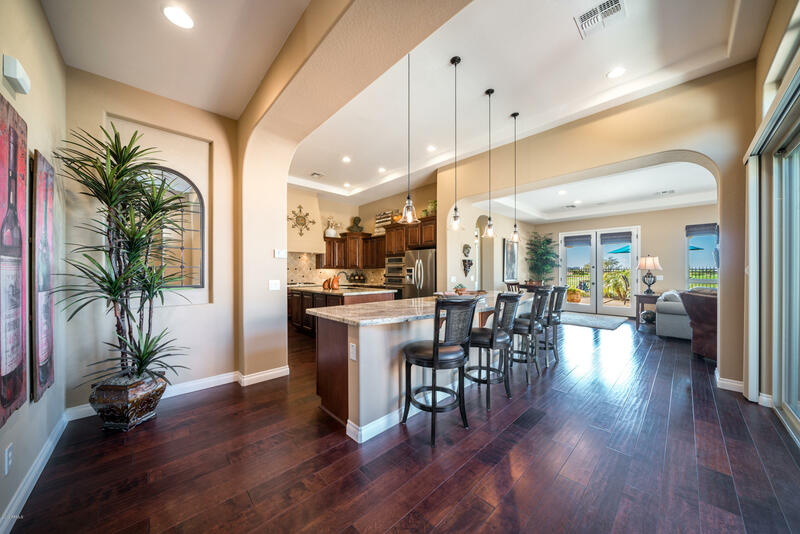 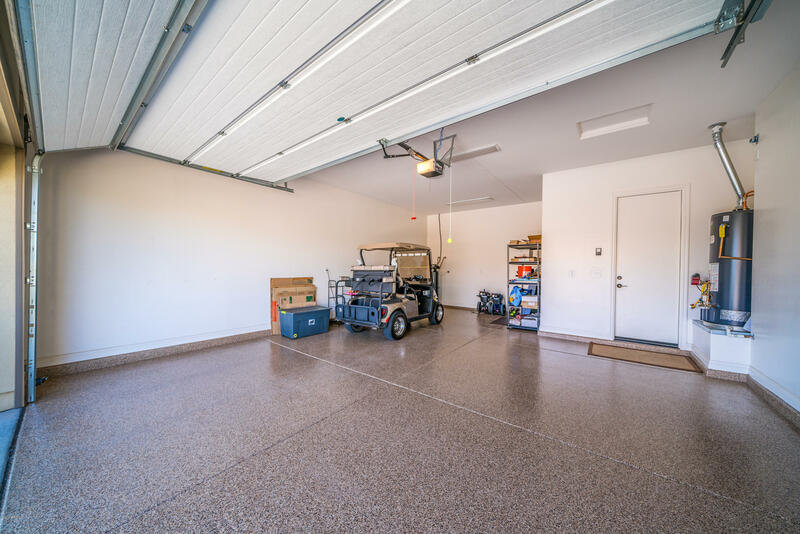 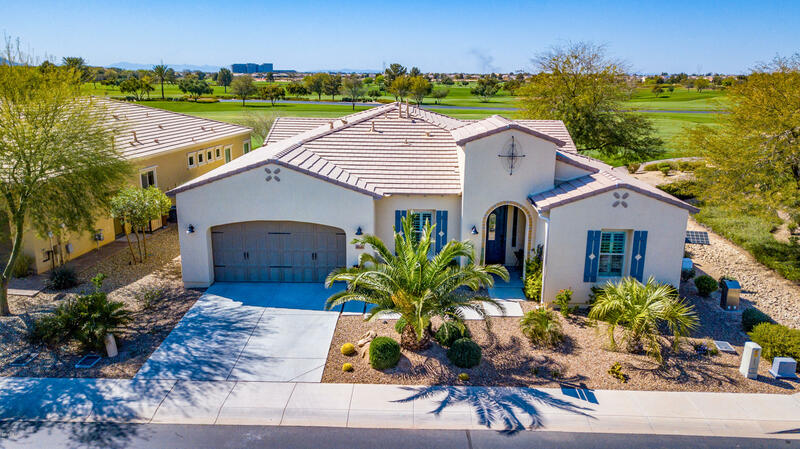 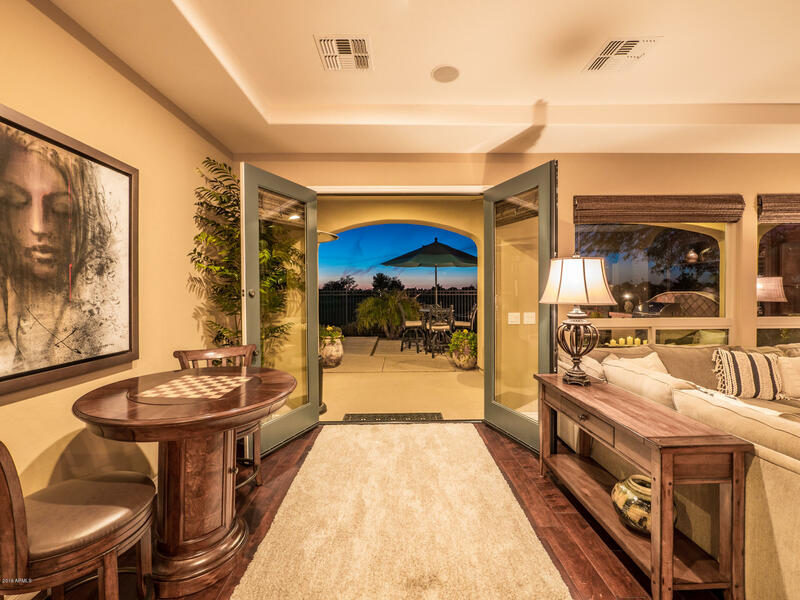 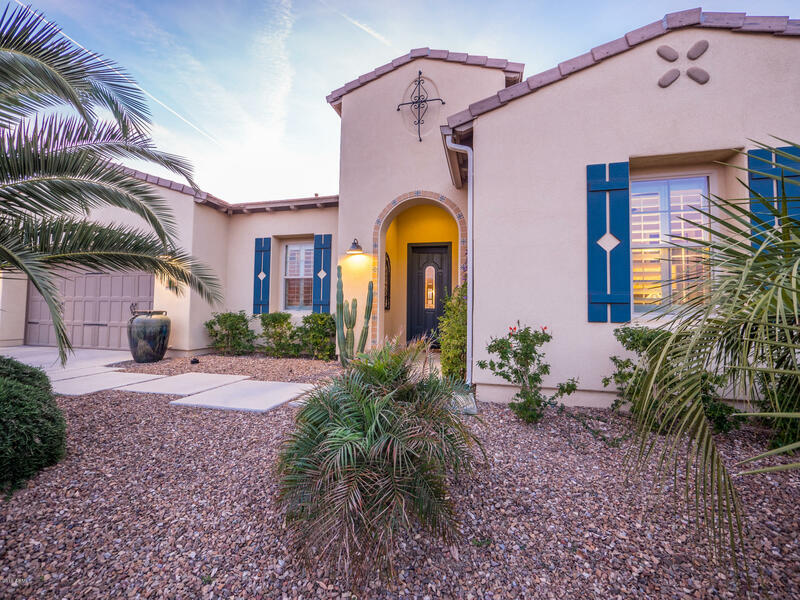 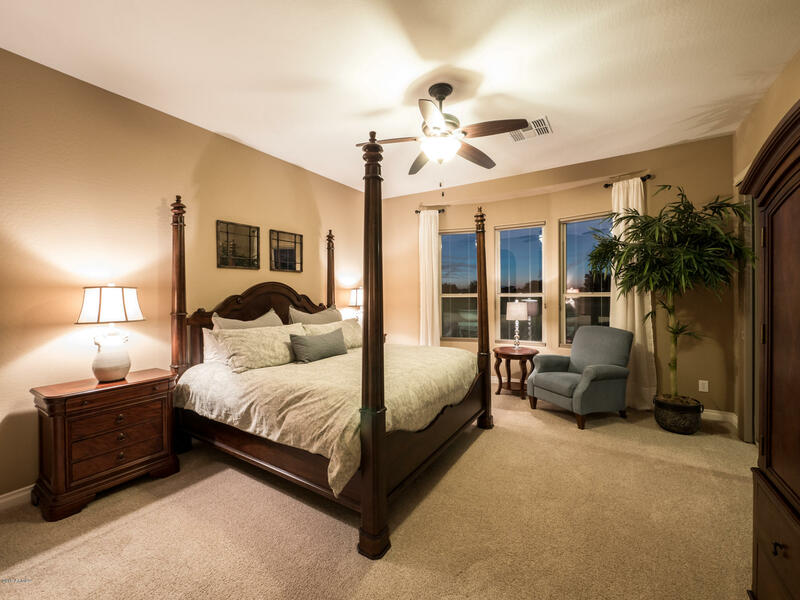 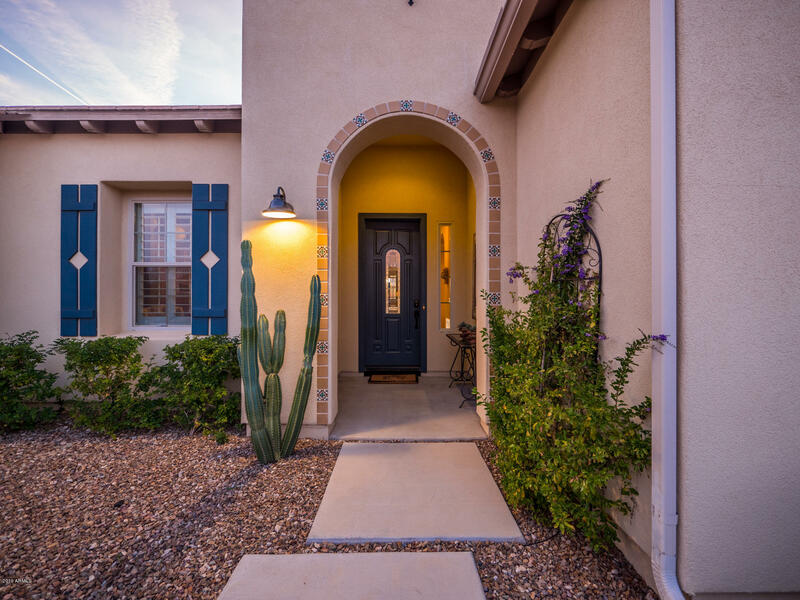 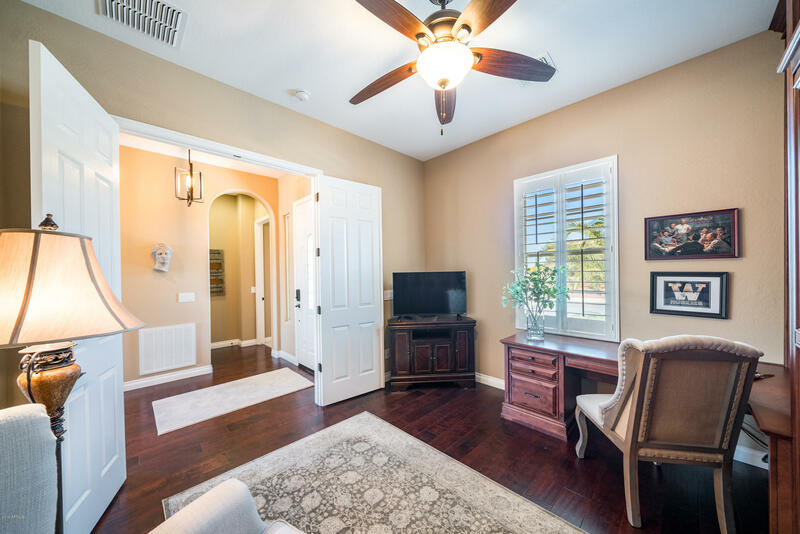 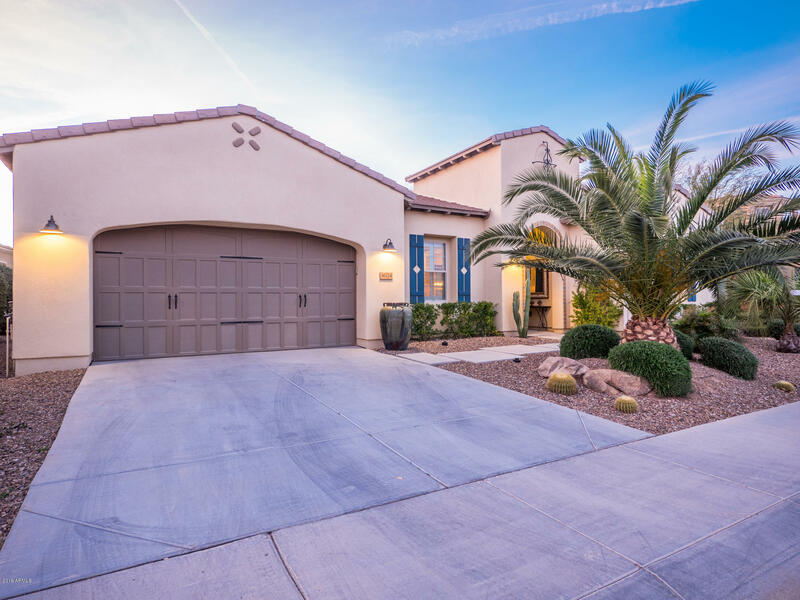 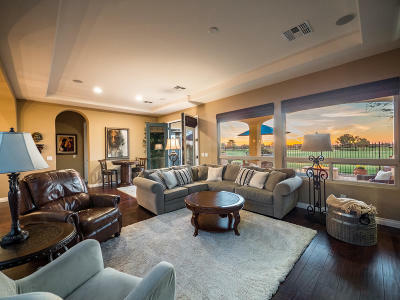 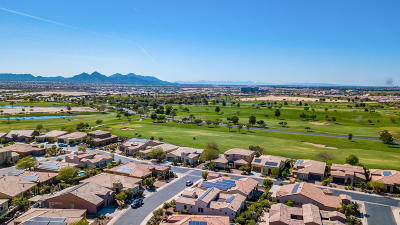 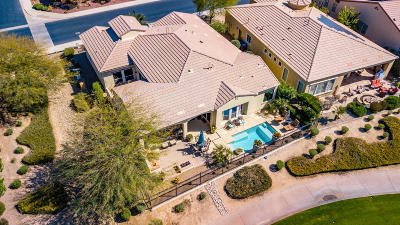 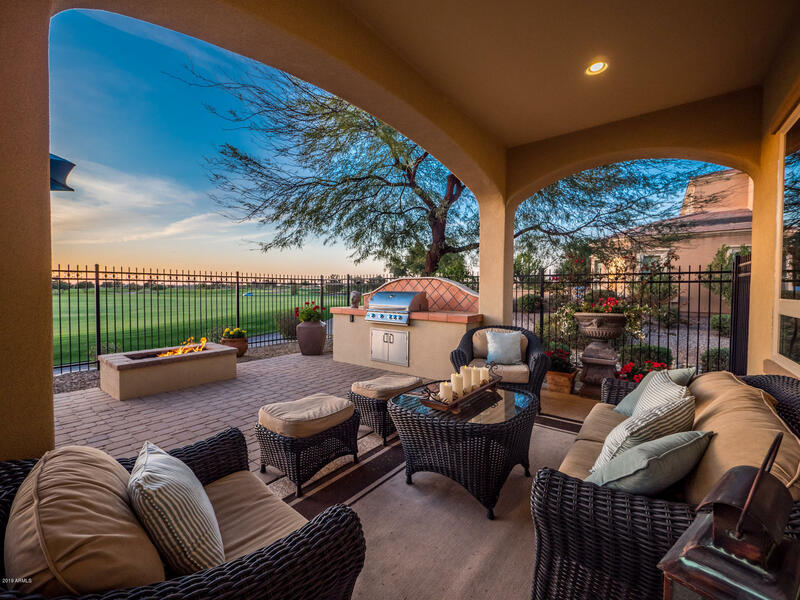 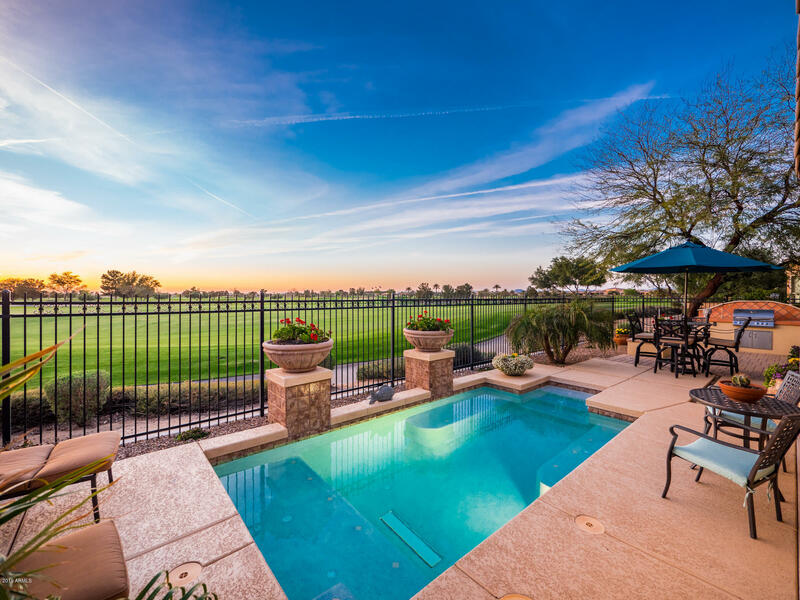 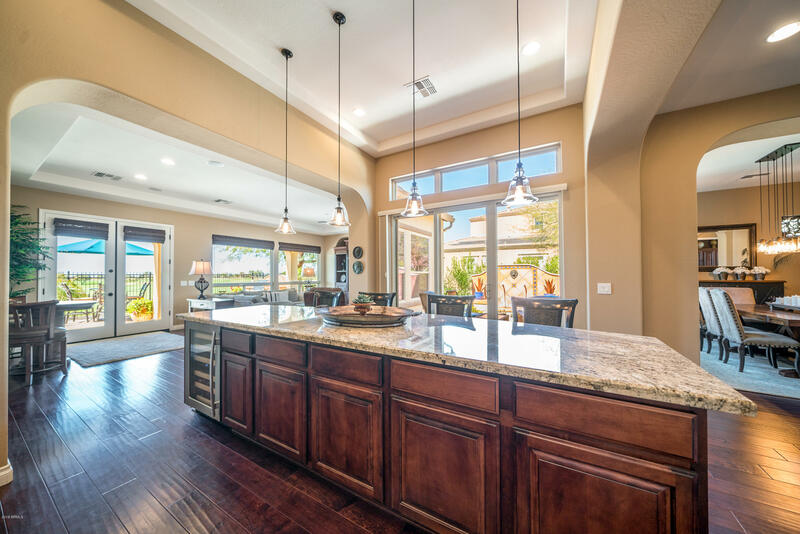 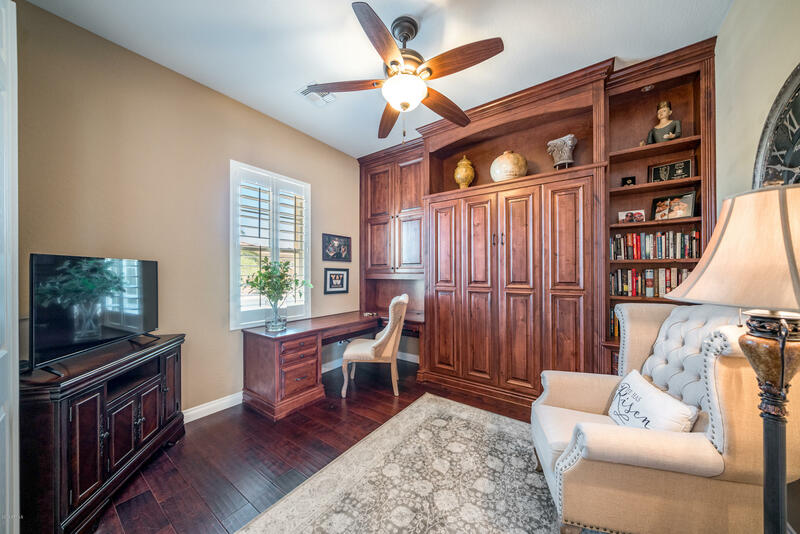 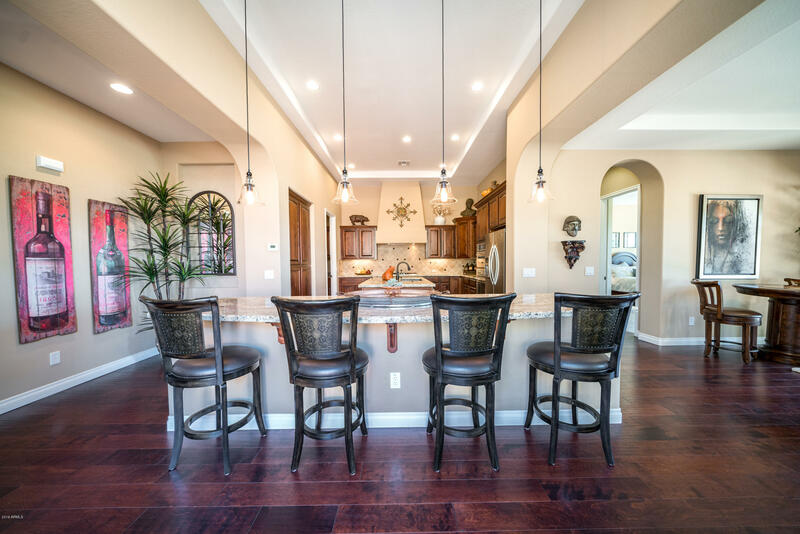 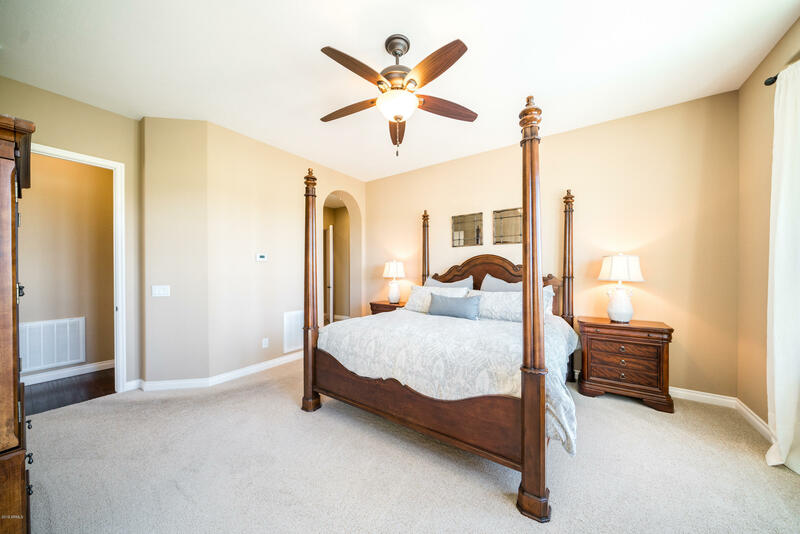 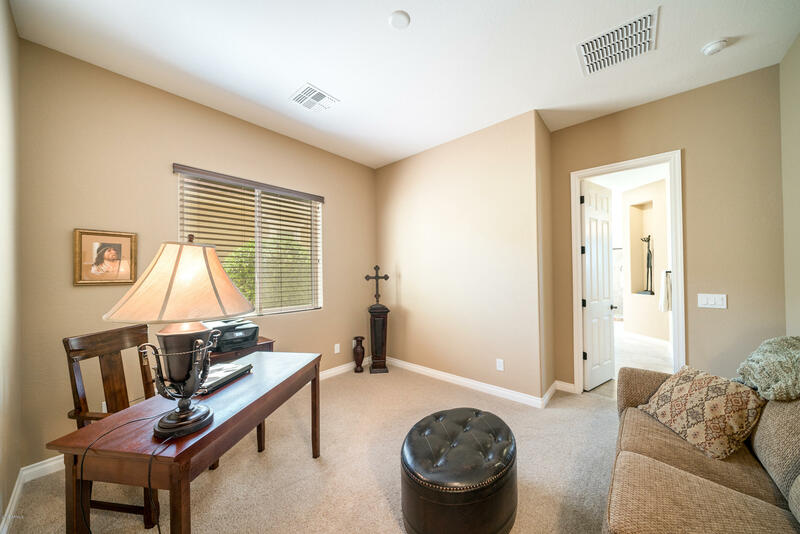 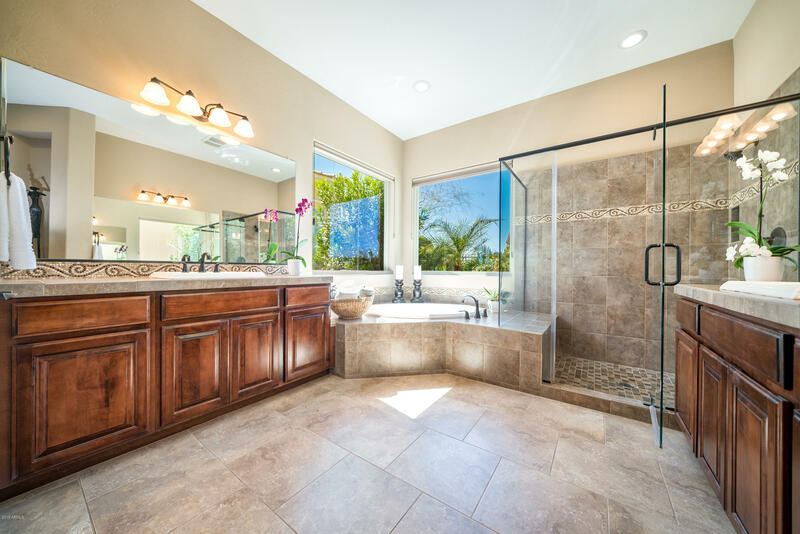 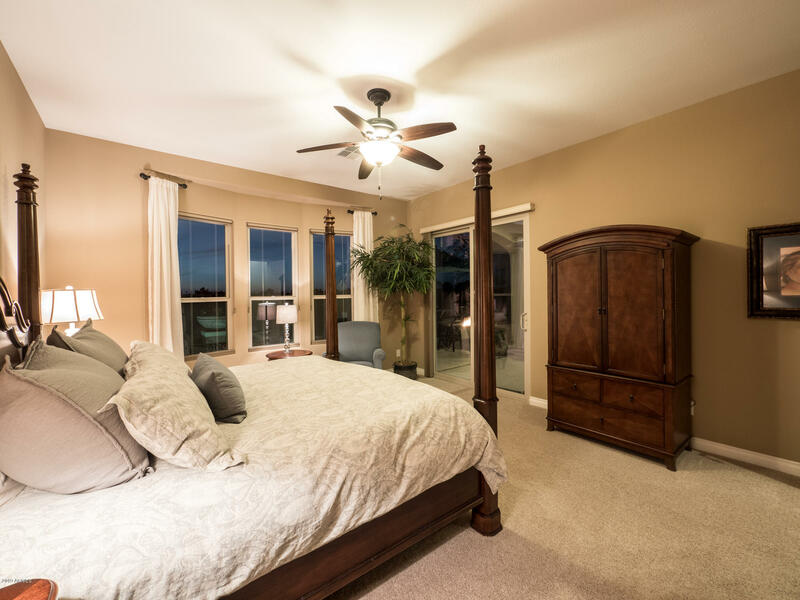 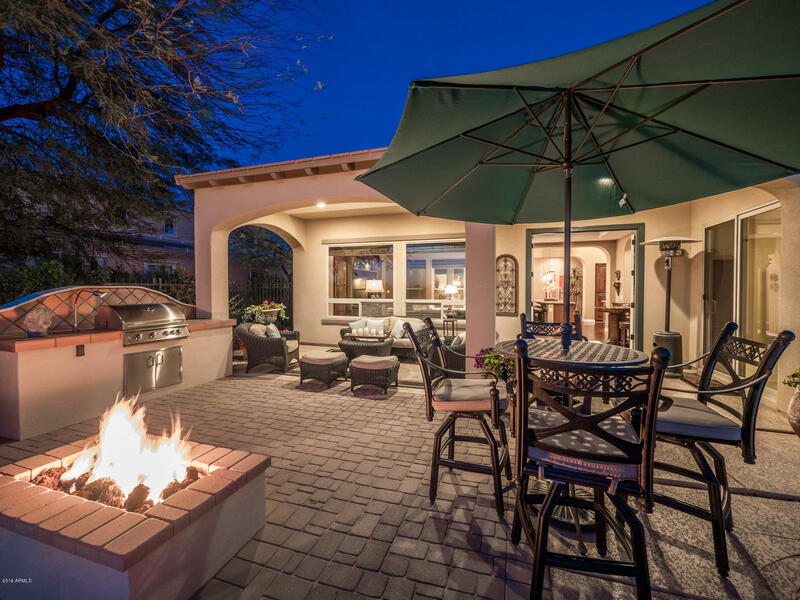 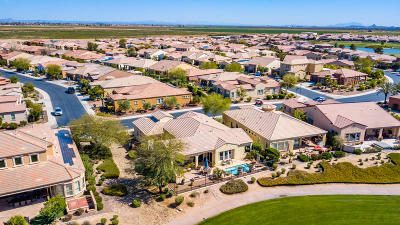 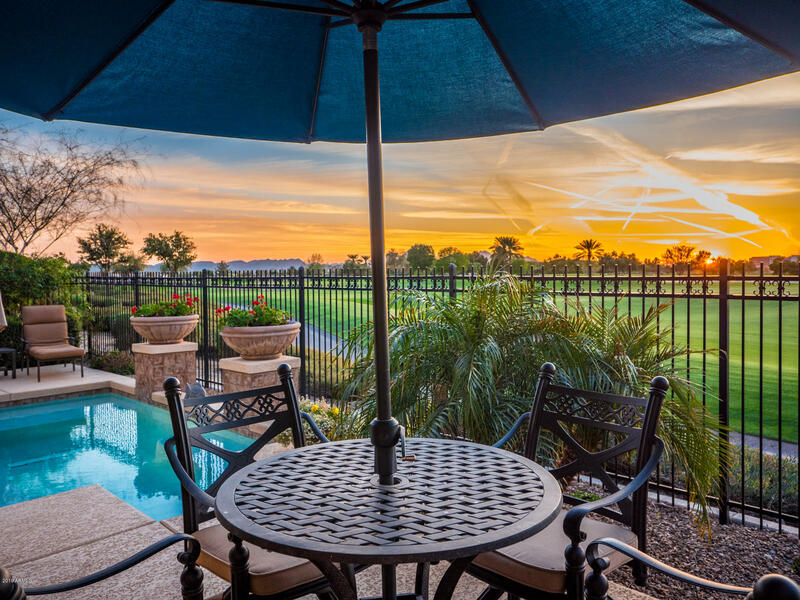 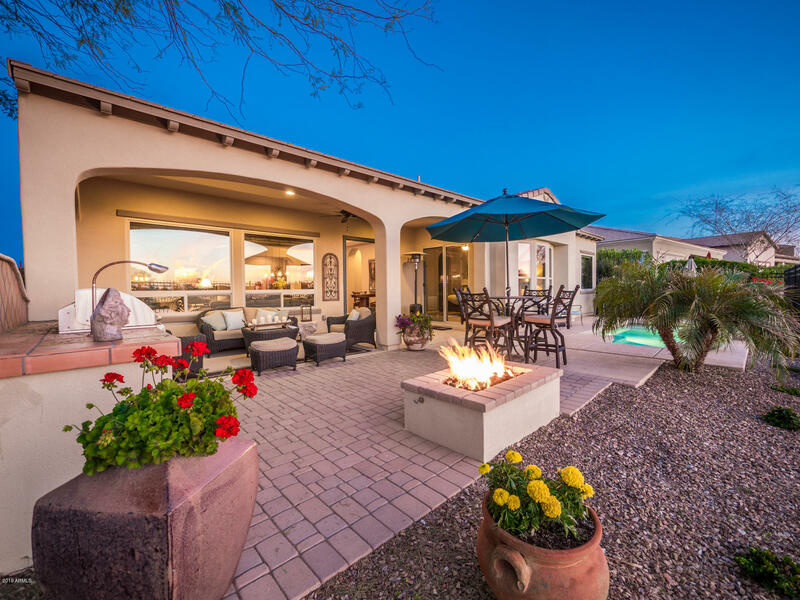 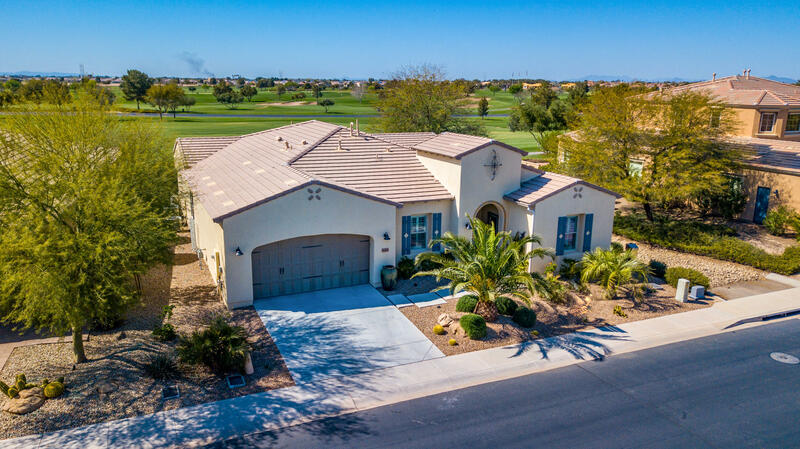 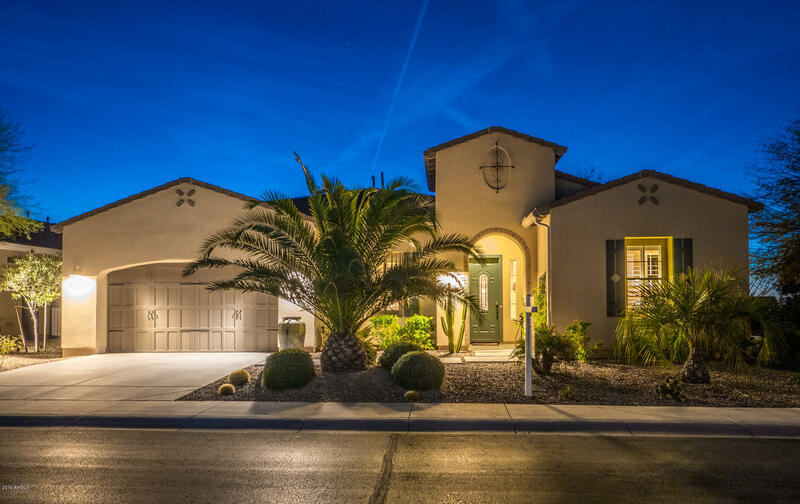 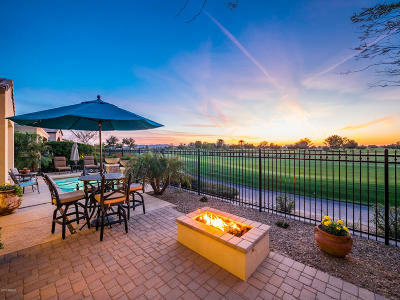 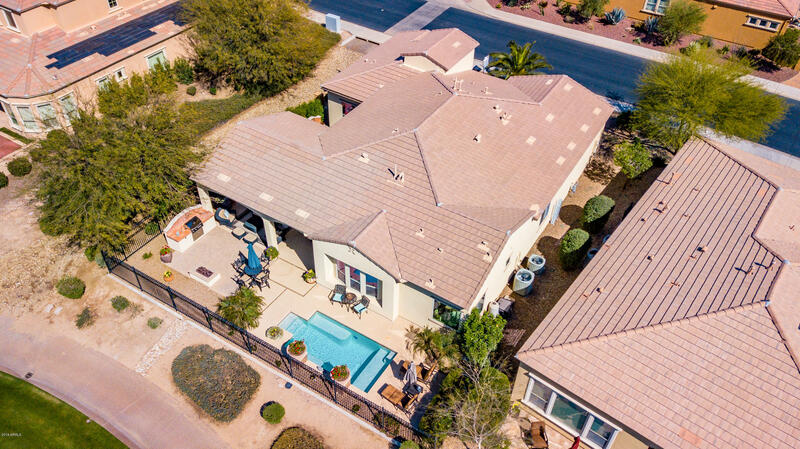 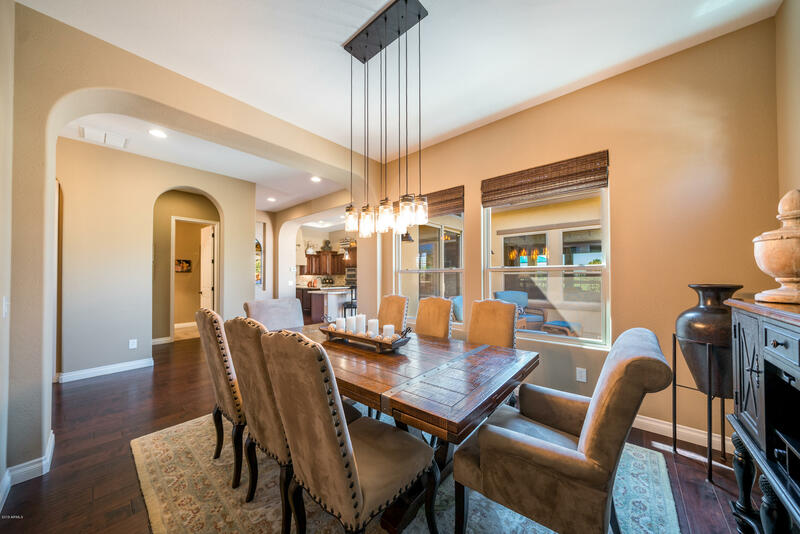 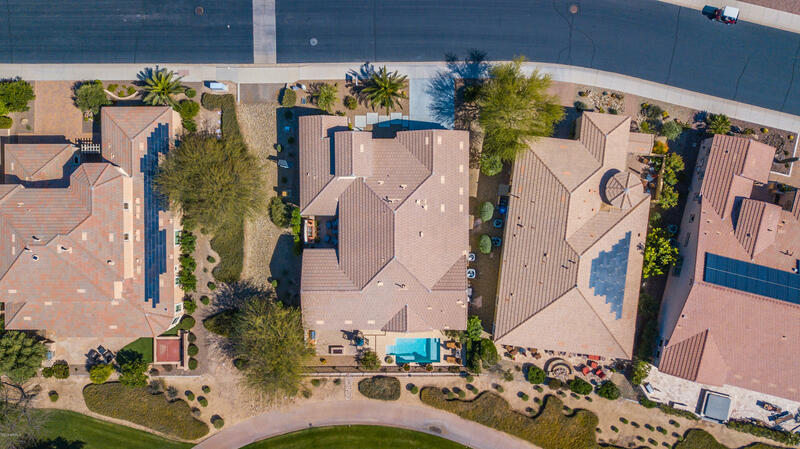 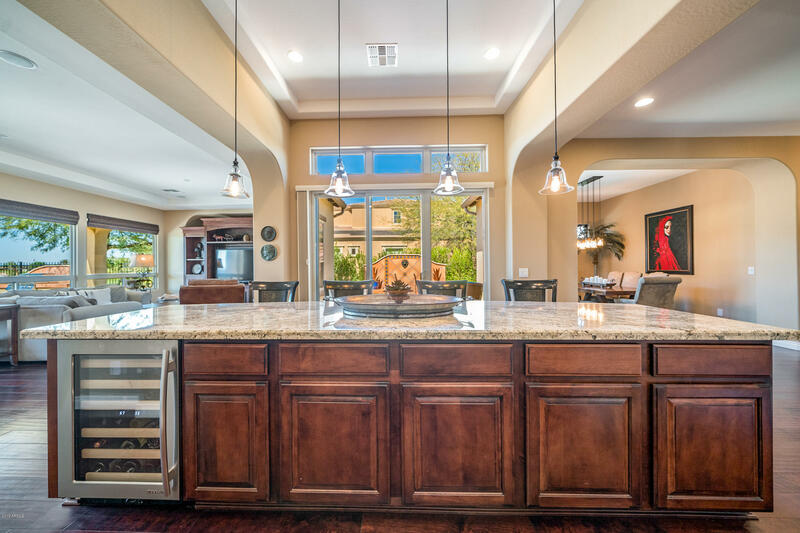 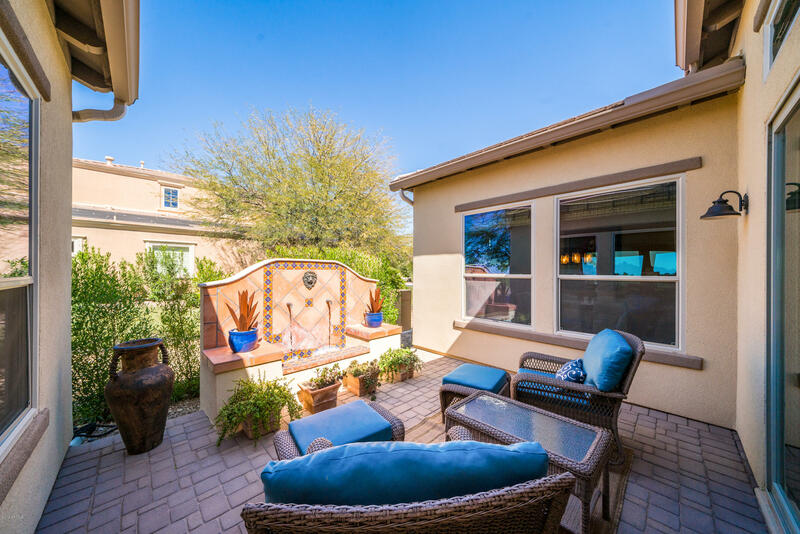 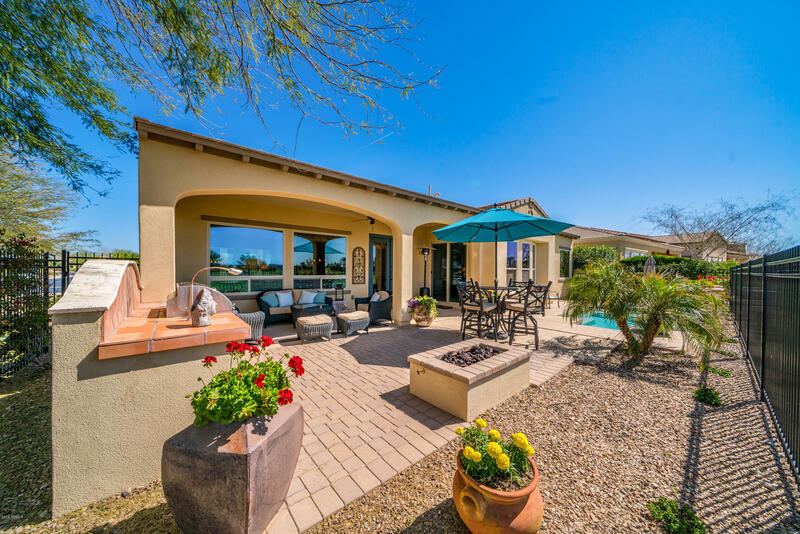 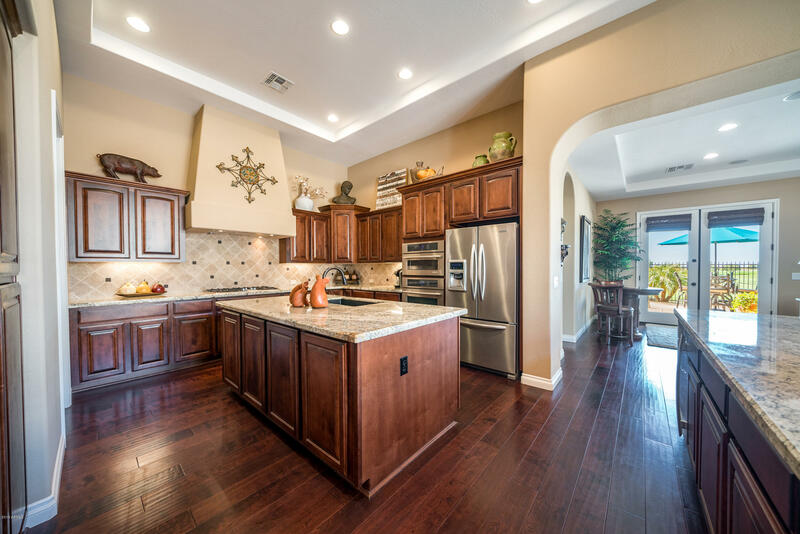 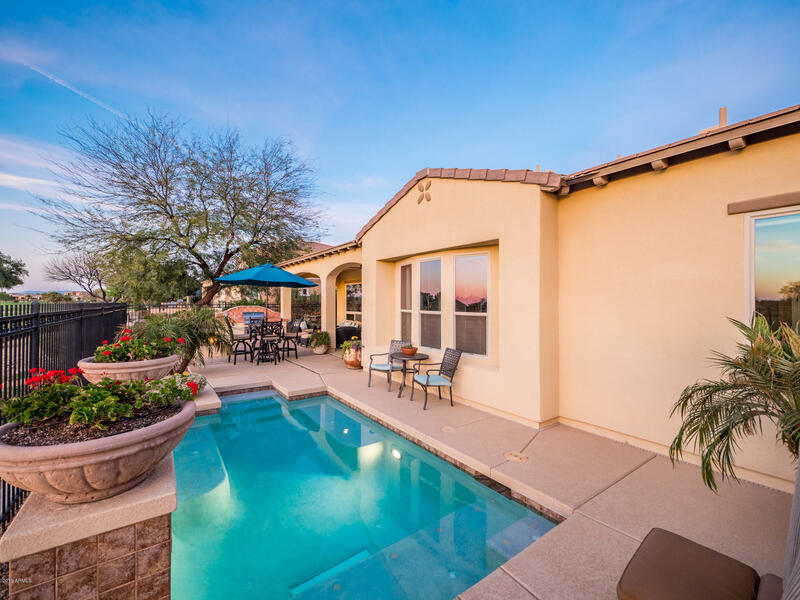 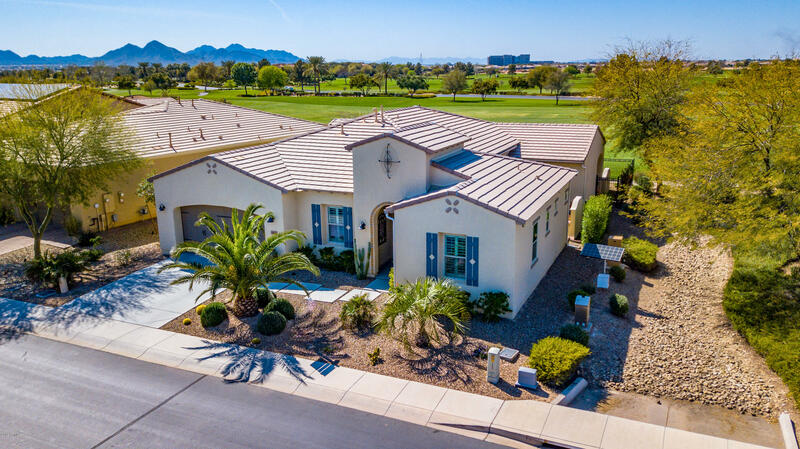 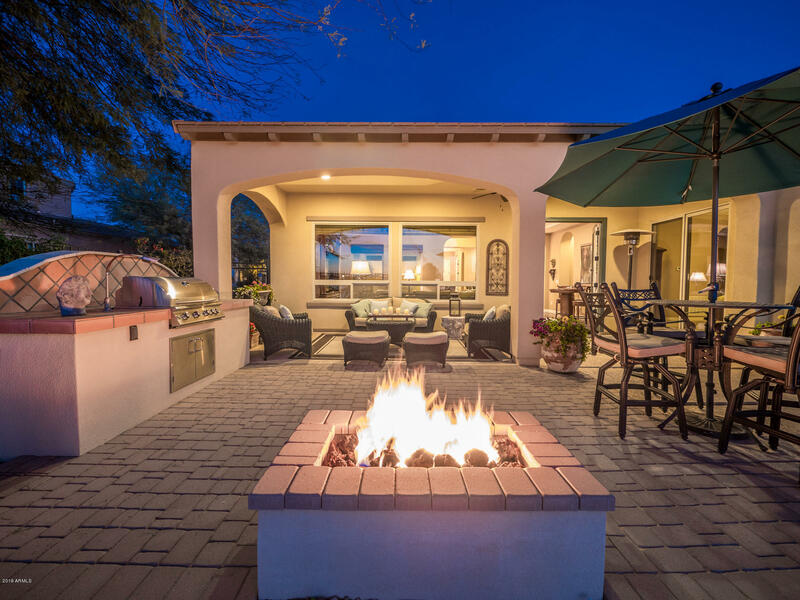 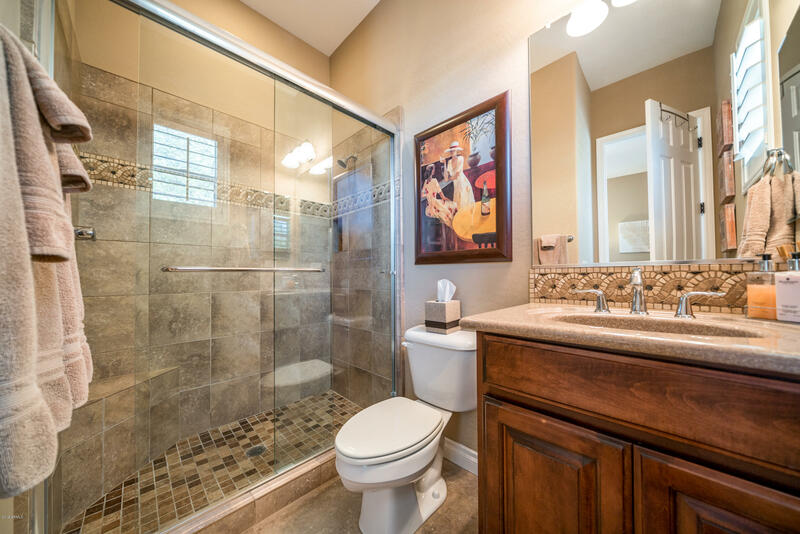 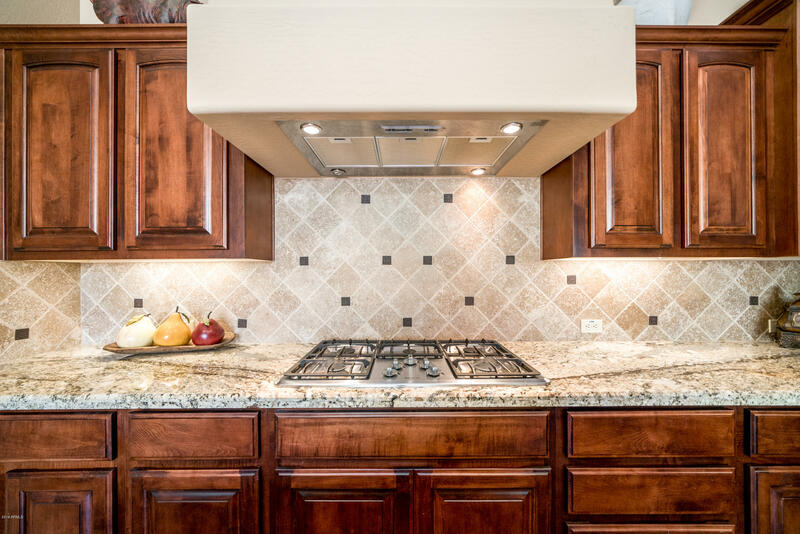 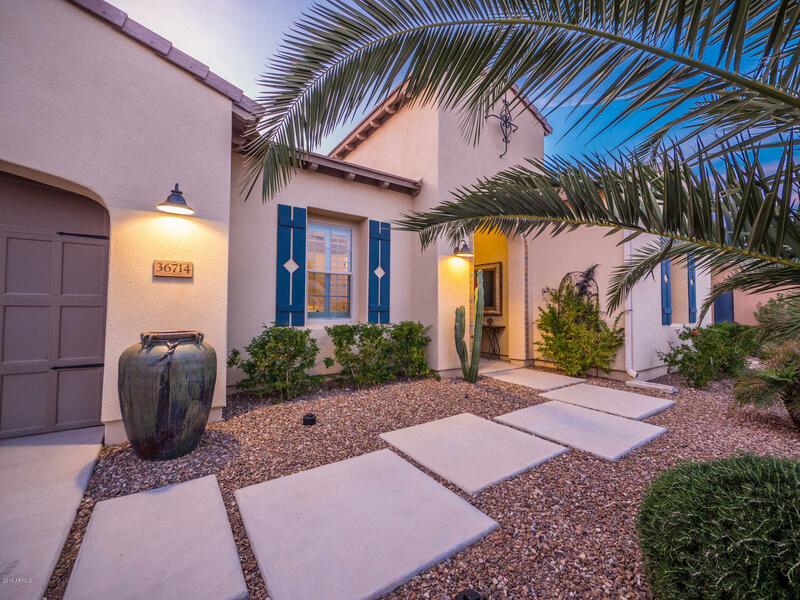 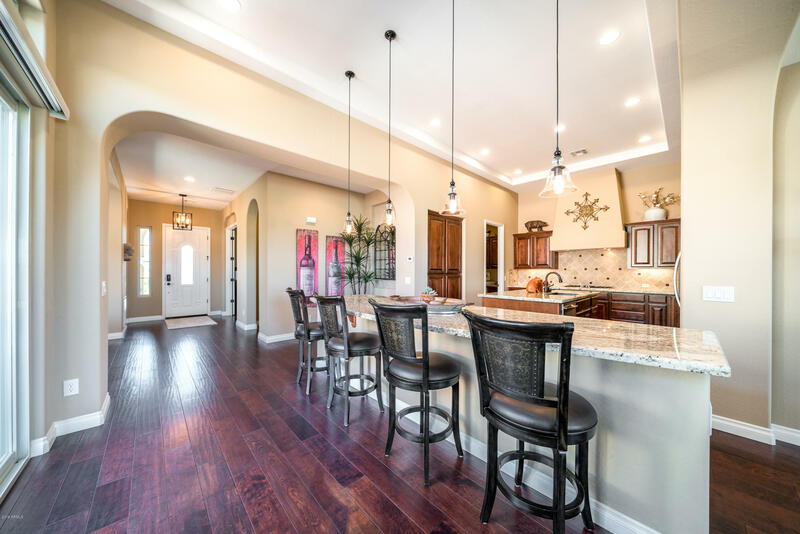 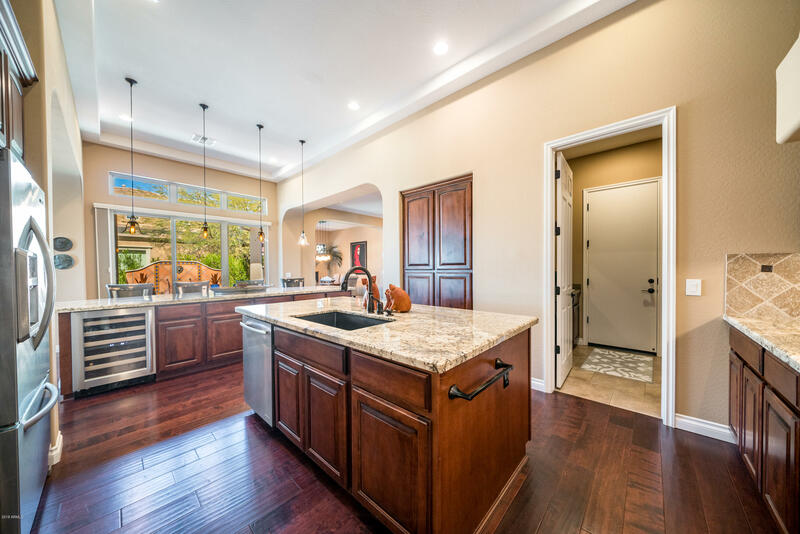 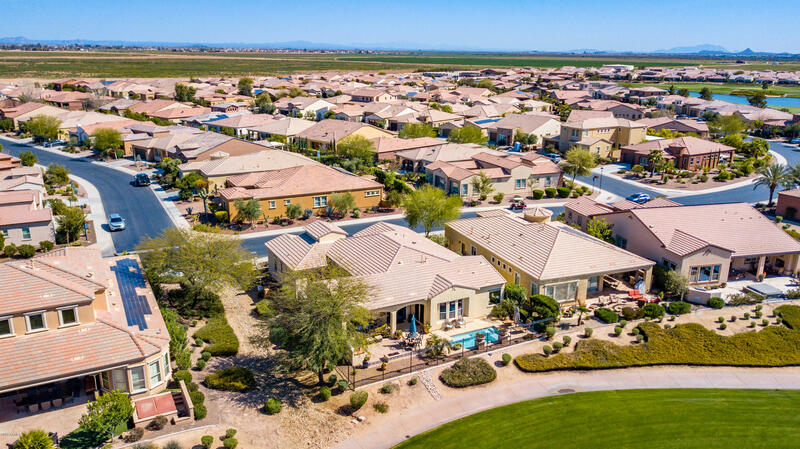 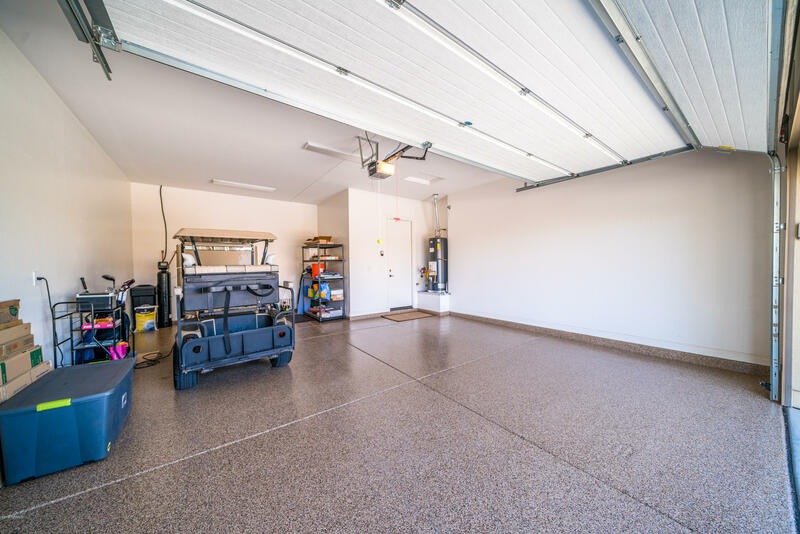 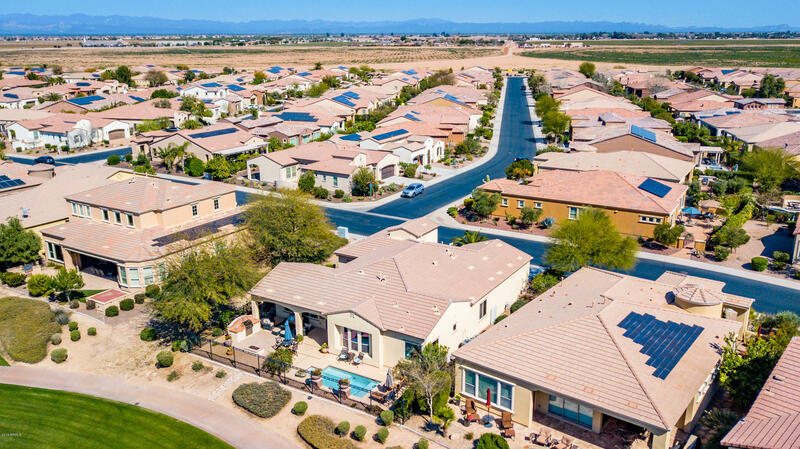 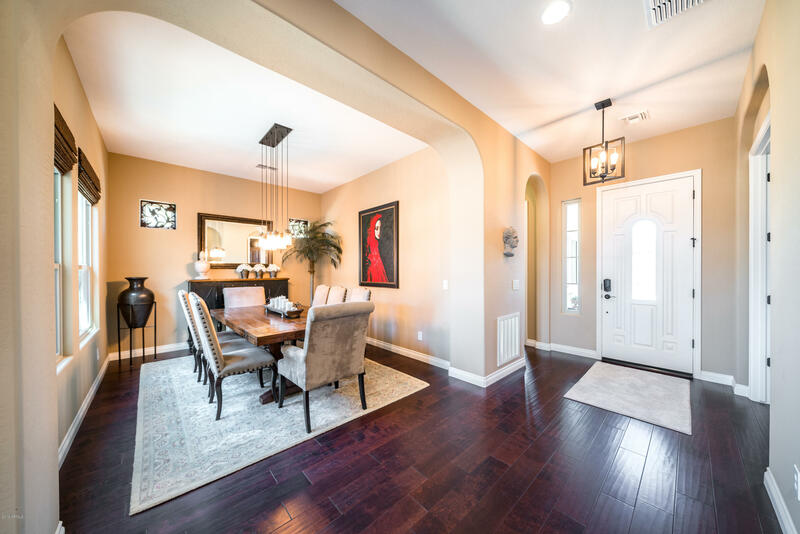 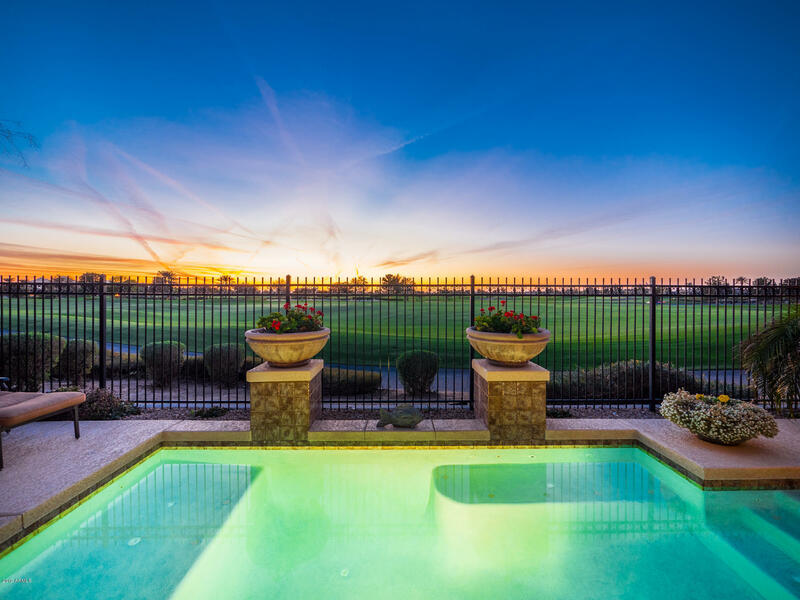 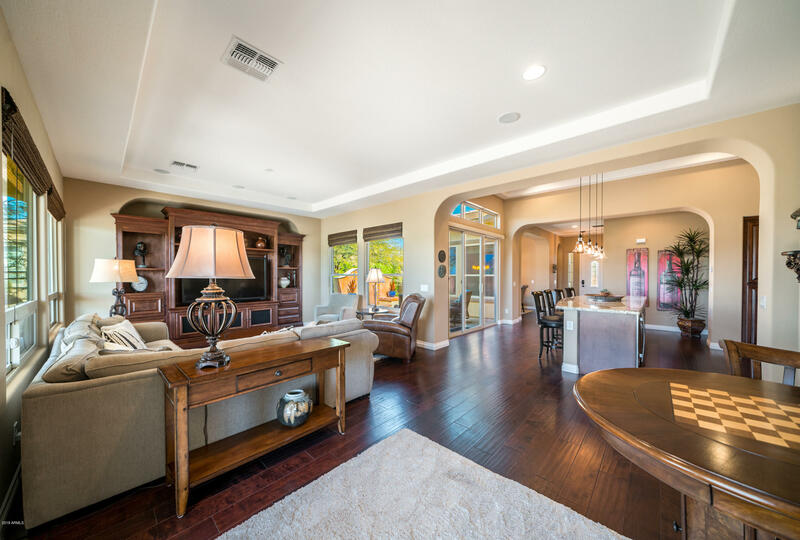 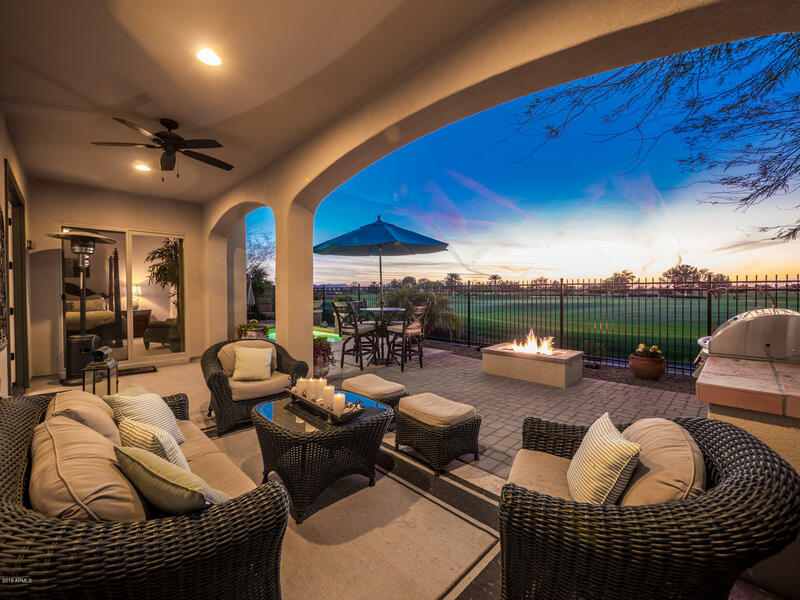 Enjoy everything sunny Arizona has to offer, starting with this home!